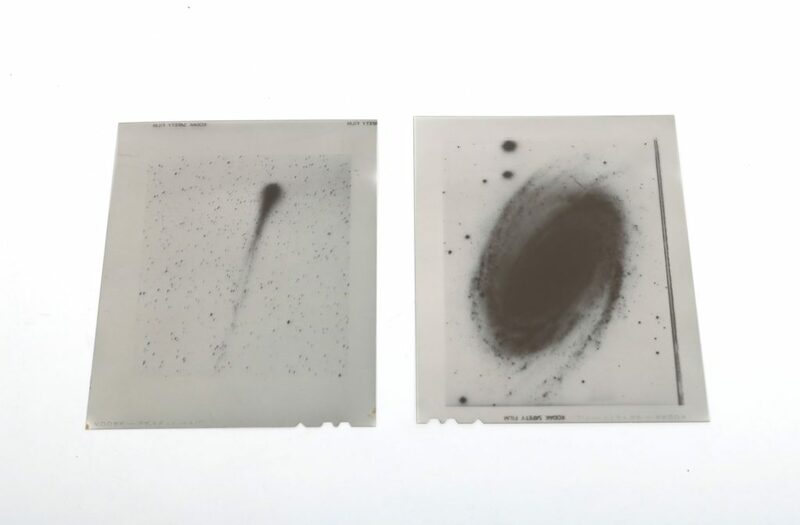 Ten goldenrod envelopes containing large film images of celestial objects: M81 (a spiral galaxy), and Comet Kahoutek (a long-period comet first sighted 7 March, 1973). 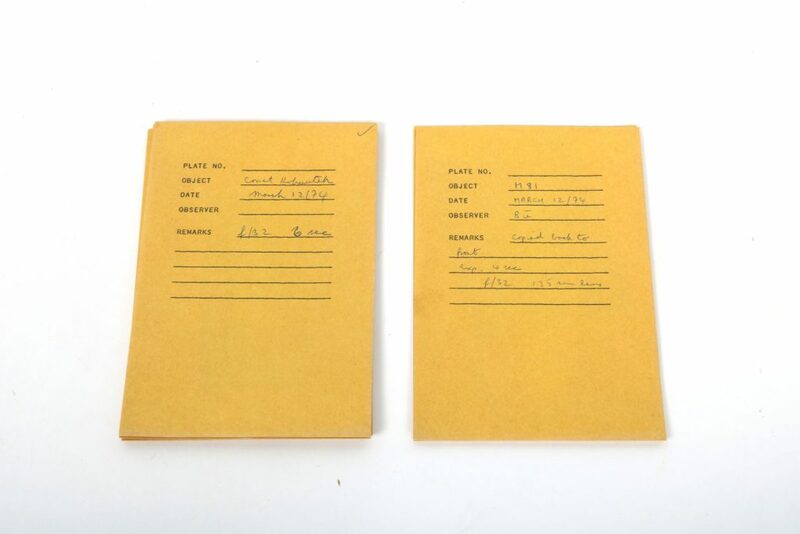 Each envelope contains information written on the outside about the images inside: the object photographed, the date, the f-stop and other photographic information, other remarks and occasionally the observer, recorded as “Bu”. 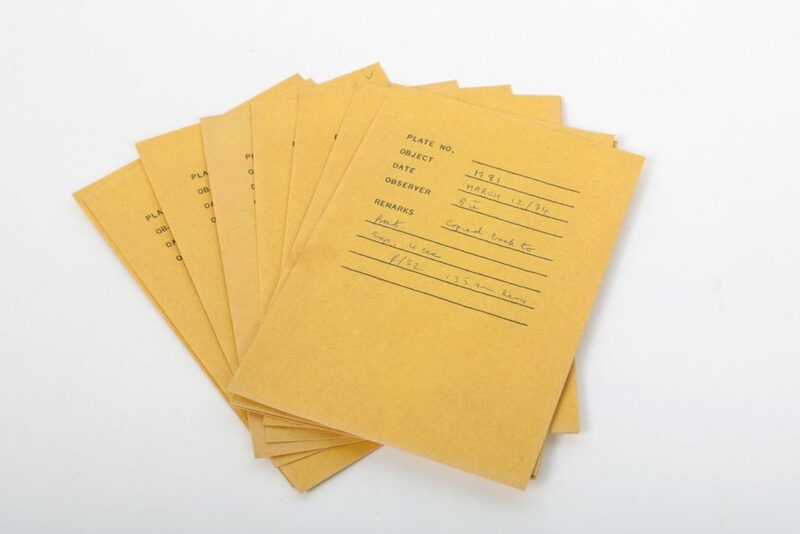 Each envelope has a stamp on the front which reads: “PLATE NO. These are either simply records of astronomical data, or were intended for presentation of images. All the images were taken on the same day. Excellent: The images are in excellent condition. The envelopes are slightly worn, with faint grease stains. Created at the David Dunlap Observatory. These images was likely moved from the David Dunlap Observatory in Richmond Hill in 2008, upon the sale of the observatory. It was stored at the Department of Astronomy and Astrophysics until 2017, when it was moved to a new storage location in McLennan Physical Laboratories.